For over 1,000 years – from the era of Charlemagne's Frankish empire until 1870 – much of the central Italian peninsula was under the direct or indirect rule of the Pope, who, at the same time, wielded immense power throughout the whole of Europe. The Papacy was often deeply involved in the political issues of the times and the office itself was frequently controlled by powerful lay rulers. It was only in the 16th century with the coming of the Reformation that the Pope's spiritual dominance of Europe came to an end. In 1978, Cardinal Karol Wojtyla became the first non-Italian incumbent of the Papacy since the 16th century, taking the title of John Paul II. During his pontificate, the Vatican experienced a major administrative upheaval and was embroiled in a massive financial scandal. Following the death of Pope John Paul II in 2005, the successor to Pope John Paul's much-lauded reign was signalled by the traditional blowing of white smoke out of a chimney fixed to the roof of the Sistine Chapel. Head of the Roman Catholic Church until recently was the German-born Cardinal Joseph Ratzinger, who named himself Pope Benedict XVI. Many Catholics and the worldwide press were divided in opinion over Pope Benedict XVI's ultra-conservative past as Cardinal, with his frequent hard-line denouncements of issues such as relativism, homosexuality, birth control and the inauguration of women in the Catholic church. The church's image did not improve much under the German Pope, and in 2013, Benedict XVI made the surprise decision to resign. He was succeeded by Argentina's Pope Francis. The new Pope has sought to rebuild the Vatican's image, regularly speaking out on issues of social justice, softening the church's stance in some areas, promoting inter-faith dialogue, and declining the traditional pomp of the Papacy. • Benedict XVI was the first Pope to resign since 1415, and the first to jump without being 'pushed' since 1294. 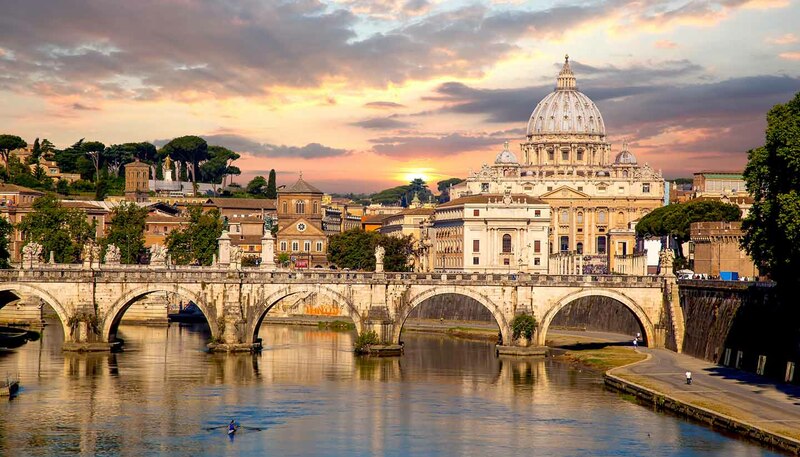 • Spookily, the Vatican City stands upon an ancient Roman necropolis. • Many early Christians are thought to have been martyred at the foot of the Vatican Hill by the infamous Roman Emperor Caligula.